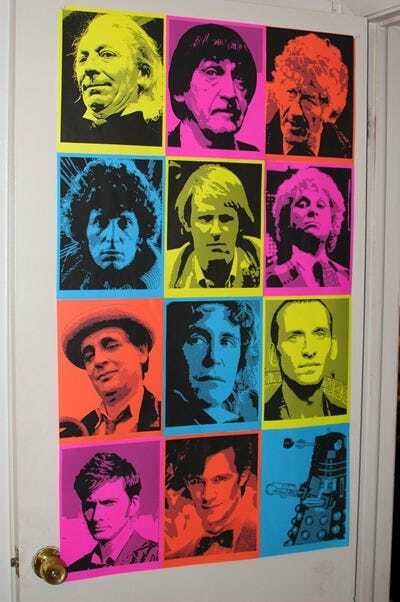 Looking to decorate your house with some cool artwork? Grab some of your favorite Sci-Fi pics and some surprisingly simple tools, and create a Pop Art style poster in minutes. 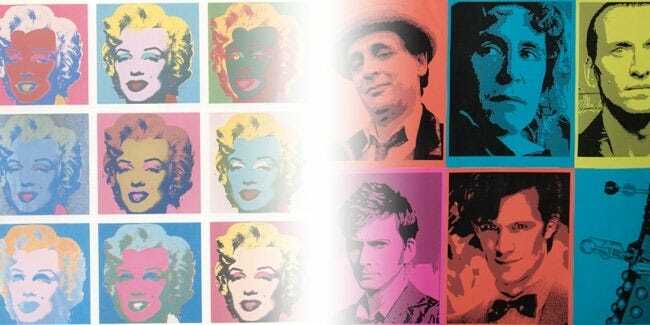 Through a simple process called “posterization,” you can reduce any graphic into a cool limited graphic with a similar look that Andy Warhol would have used when he created his famous Marylin Monroe image in the sixties. Pick a theme, grab some images, and get ready to decorate your home with a surprisingly easy and surprisingly cool poster any inkjet printer can produce. Your theme could be anything, sci-fi related or not. 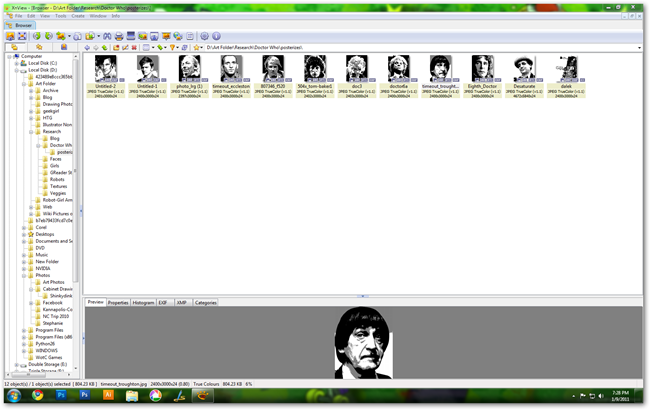 For this example, we’ve used the eleven actors that have played Doctor Who since 1963. Since you’re printing these images for your own decorative purposes, they fall under the umbrella of fair use. Keep in mind that using copyrighted images like for any sort of commercial sales is a big no-no. But for simple home printing purposes, you can rest assured you’re within the confines of copyright law. Google Image Search or Bing Image Search are excellent ways to find good pictures, as is Wikipedia or Wikimedia Commons. When you’ve found the images you want to use, this simple first step is over. Use as many as you like, but keep in mind even numbers are better. You’ll see why shortly. 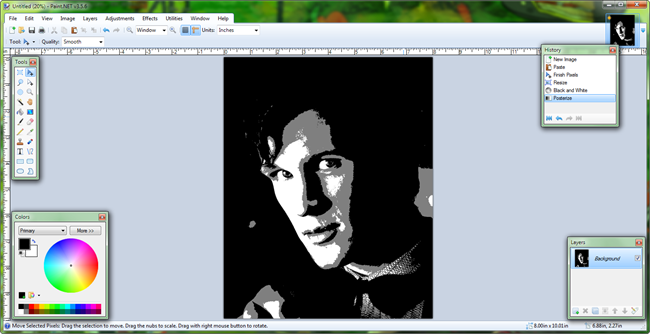 Once you’ve picked the images you want to use, some light prep work will ready them for printing. You can use any graphic you think looks nice, even those at low resolutions. However, you’ll have to resize them before we filter them for maximum quality. Fire up Photoshop if you’ve got it. If not, read through this part as a reference and check out the next section to see how to do this in freeware Paint.NET. 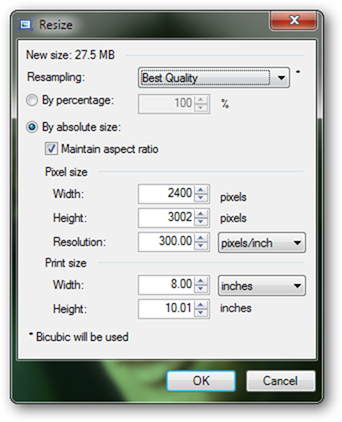 Go to Image > Image Size, and set your width to 8 inches and your height to 10 inches, with a resolution of 300 dpi, as illustrated above. If your image doesn’t work out perfectly, you can always size it bigger than 8”x10”, say 9.5”x10” and trim down the extra information later. It is important to size your image so that if fits reasonably well on a regular page in your printer, and 8”x10” is a standard size nearly every desktop printer can handle. 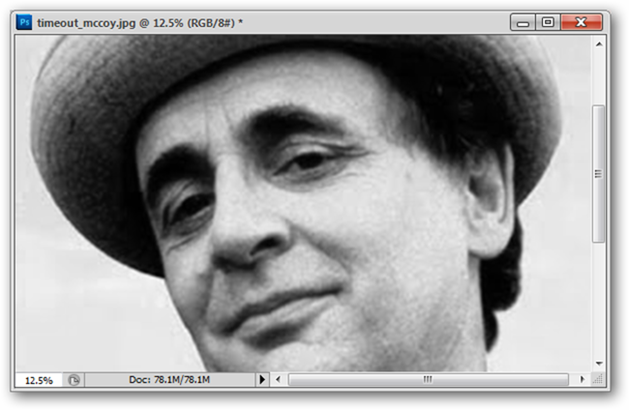 will desaturate your image, turning it into a grayscale. 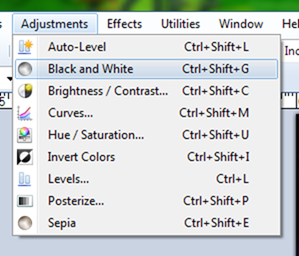 If your image is already grayscale, this is an unnecessary step. 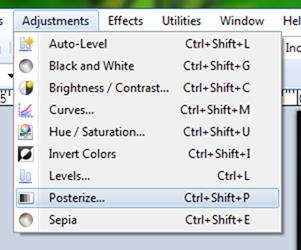 Navigate to Image > Adjustments > Posterize. You’ll get a dialog box similar to this one, where you can edit the number of “levels” of color. You’ll want to use somewhere around 3 or 4 for best results. 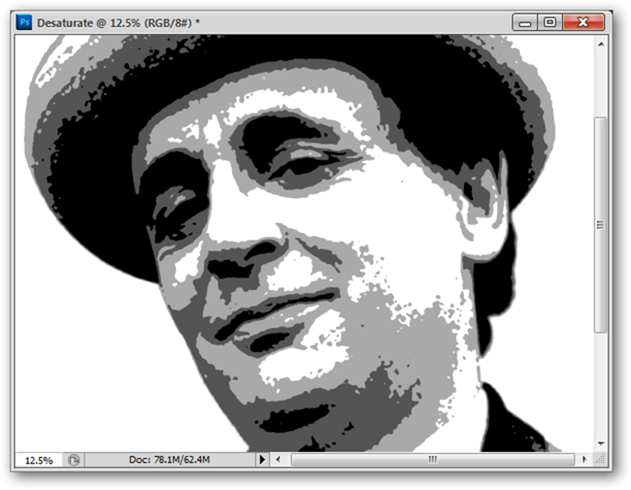 You’ll get a result similar to this one—a quick, dirty pop art look from virtually any image you can find. 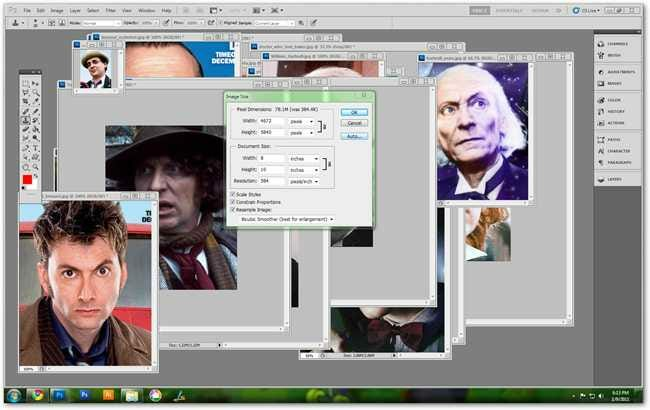 Now, if you don’t have Photoshop, here’s how to pull of this same trick with freeware. 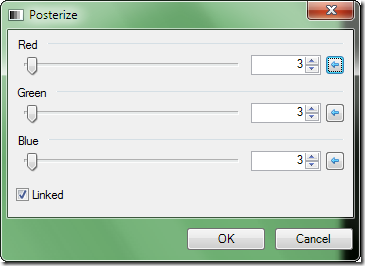 Paint.NET is fully capable of doing this same process, and is free for readers that don’t care to pay for Photoshop. Open whatever image you chose to use in Paint.NET. 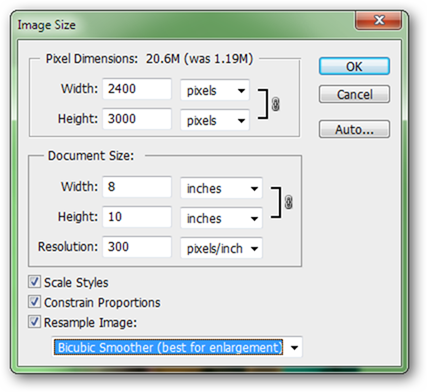 Navigate to Image > Resize to adjust your image to the proper size to filter. 8”x10” at 300 dpi is a good size to use, as illustrated above. Once your image is resized, you can navigate to Adjustments > Black and White to create a grayscale version of your image. Adustments > Posterize will will allow you to create your Pop Art Graphic look. Three or four levels in all three channels (Red, Green, and Blue) will give you the proper look. When you’re satisfied with your image, save it and be get ready to print your poster. 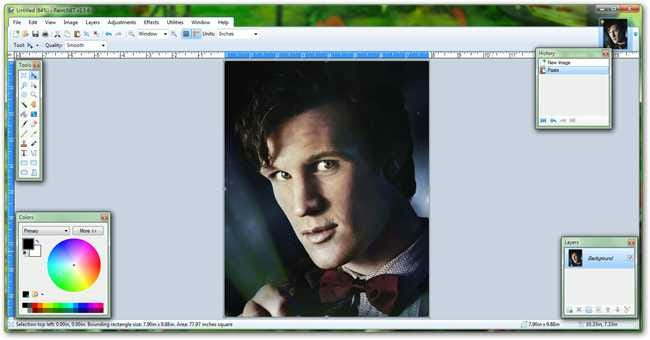 While nearly any piece of photo software will print images, free download XnView is a favorite for light image printing. Simply navigate to all the images you wish to use and File > Print to use the simple tool to output your images. 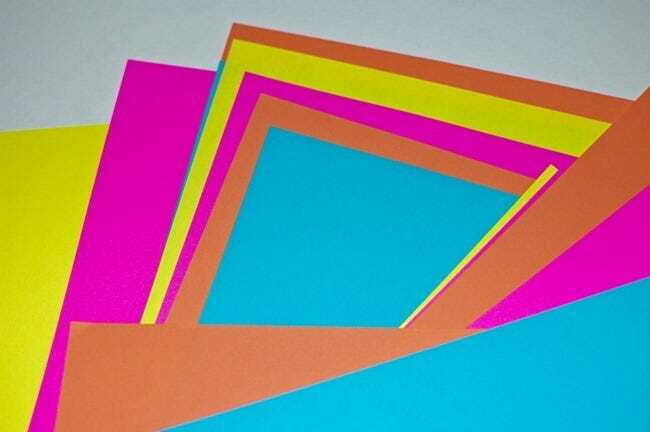 There are many places where readers can pick up bright colored printing paper, although one of the easiest to deal with is FedEx Office (aka Kinko’s) , as many stores sell it in individual sheets. Buy exactly as many as you want to use, rather than buying entire reams elsewhere. 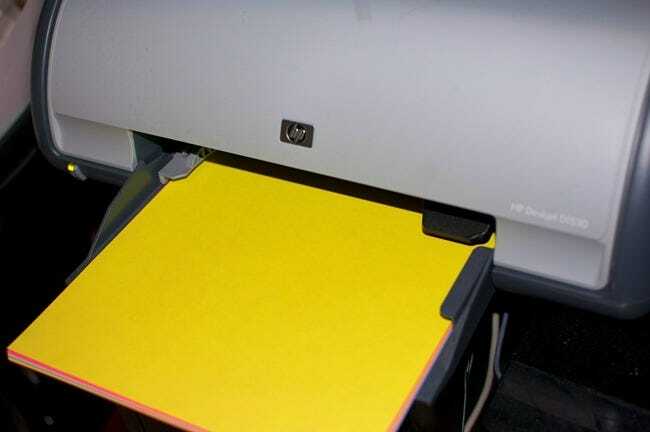 Load your paper into your printer like normal. Your images will print out—you’ll be surprised at how bright and cool your images will look with so little work. When your images are done, flip them upside down and tape them together on the back corners. 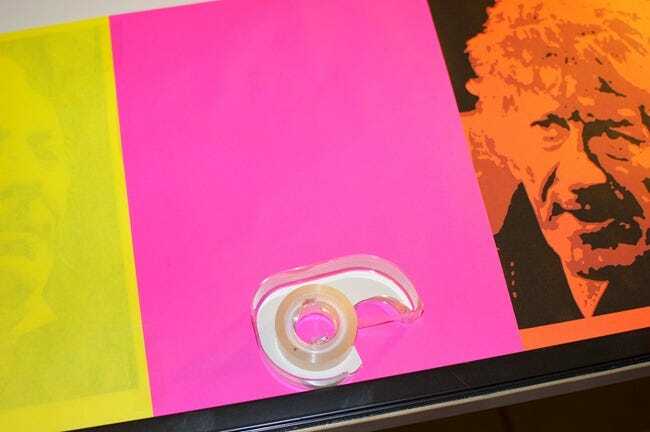 Acid-Free tape can make your poster last longer, but is not necessary. 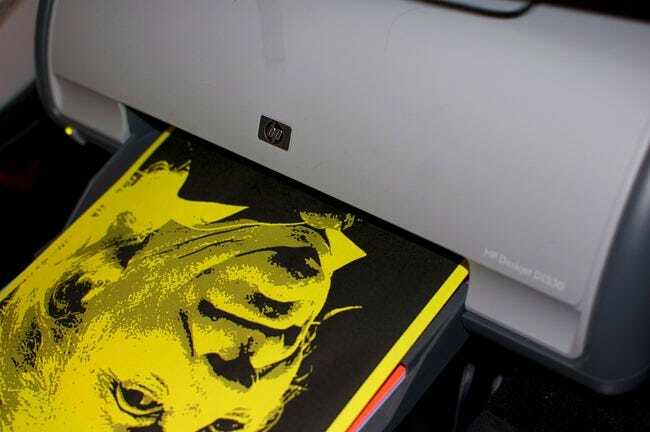 Besides, if you save your images, you can always reprint your Sci-Fi poster at any time. And with little effort, you can create a 25 inch by 44 inch door poster our of regular colored typing paper. Keep in mind, you can use any sort of graphics, and make your own epic poster for anything you like. How did your Pop-Art Poster turn out? Send pictures of your creation to the author at ericgoodnight@howtogeek.com, and keep reading to see if you’re featured in a followup article. Image Credits: All Doctor Who images owned by the BBC Broadcasting, original and derivative images assumed fair use. Artwork by Andy Warhol assumed fair use. All other images by the author.